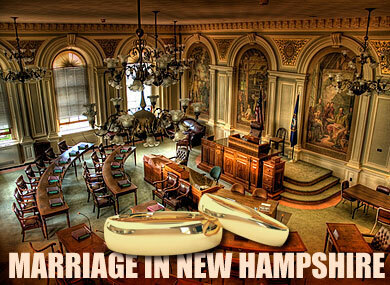 The author of one of two bills to repeal marriage equality in New Hampshire has doubts that it will succeed in the next legislative session, the Associated Press reports. State representative David Bates told the AP he believes that while there may be enough votes to pass his bill, it’s unclear if there will be enough support to override a promised veto from Gov. John Lynch. Citing a constituent’s recent email, Bates, a Republican, also questioned whether the four Republican state senators in New York who voted in favor of the marriage bill passed last month would have done so had there been greater pressure and focus to repeal New Hampshire marriage equality. "The effect of us turning back [our] law may have given the Republicans who abandoned their party position in New York pause," Bates said. Researchers and other lawmakers say that state residents have largely moved past the issue and are far more concerned with jobs and the economy. "The big thing is that as time goes by other states pass this legislation and we see that there's not been any significant changes in the way the world works, and in New Hampshire there's not been significant issues or problems that have come up because of it, that a lot of people's fears about legalizing gay marriage just aren't there. They haven't been realized, so people don't worry about it," said University of New Hampshire Survey Center director Andy Smith. Read the AP article here.